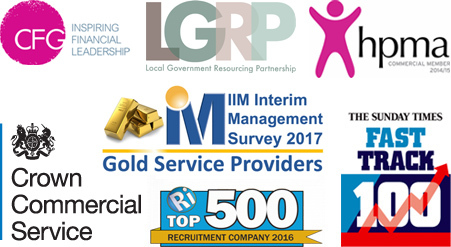 Last year, nearly two thirds of our clients used our recruitment services on repeat occasions, testifying to the quality of service we provide in their sector and discipline. Here's what some of our clients and candidates say about us. I have worked with the same consultant at Morgan Law both when she's been looking for staff on our behalf and when I've been a candidate for a new role. She is always diligent, caring and easy to deal with. I am happy to recommend her. The consultant has been fantastic: she is engaging, discreet, positive and always keen to check in and see how I'm getting on. She understood that although contracting, I wanted a good 'fit' in a role and she took the time to find the right organisation; The Alan Turing Institute. I have been contracting there for 11 months and it's been a great experience. I couldn't recommend the consultant more, she takes the stress away from job hunting and you can have a great laugh with her along the way. I am writing to express delight on behalf of Ambition School Leadership for your recent help in securing a candidate for the Communication Officer role. The candidate was just what our recruiting manager was looking for, a candidate with more skills and experience needed and who could hit the ground running. The process was quick and easy and the candidate was fully briefed on the organisation and the role. Once the interview process was over and the manager had decided, time between us informing you and the candidate saying yes was very quick. That demonstrated that the candidate fully understood the brief and had made up their mind to accept if they were successful - a good partnership of the right job and the right candidate meshing, which I guess was down to you, the agent, understanding your client, us and your candidate which is always an excellent way to do business. Great service and will definitely use you again in the future. I have worked with Morgan Law on various assignments over the past 4-5 years and can highly recommend them. The consultant is a true professional and her personable style makes it easy for clients to engage with her. She has always sourced candidates of the highest calibre and her recruitment knowledge of the Public and 3rd sectors is possibly the best I've come across in the industry. I've used the same consultant for quite a few key appointments now, and she never fails to find great people with the right skills. I've appreciated her communication and responsiveness, not to mention patience with our changes (and red tape!). Thank you! It has been a pleasure working with the consultant at Morgan Law. She has a detailed knowledge of the sector and took time to really understand both the role and organisation. She clearly has a good network of people and this was evident with the calibre of candidates that she matched to the role. The candidates all arrived suitably prepared for the interviews and understood the role so were not there to make up the numbers. The consultant is very honest and confident to speak up when something will have a detrimental impact on recruitment. She is able to work to tight deadlines and stick to agreed timescales. Overall she delivers what she agrees to, works hard to get the best outcome and is a nice to person to work with. I have used Morgan Law to source a range of HR positions over a number years and have always found them able to provide candidates with the right skill set and with a clear understanding of the business requirements. They recently provided The Barnet Group with a number of candidates for a Learning & Development Consultant, recognising our urgency to make an immediate appointment we were able to appoint the successful candidate within our timescale to progress our learning and development strategy. I have really enjoyed Grace's approach to recruitment. She understands the sector incredibly well, is tenacious in her determination to find good candidates and has a fantastic network of people with real insight into the technology recruitment landscape. She is creative in her approach to finding candidates, finding people who are fantastic candidates who you might not have thought of as the kind of folk that you wanted in this role until you meet them in interview. I appreciate her straight forward approach, gentle but insightful challenges, strong organisations skills and real commitment to finding good people. I would heartily recommend her and am very grateful for the work she has put into my campaigns so far. IT recruitment is a challenge in our sector, where we look for good people with strong skills who are motivated by our mission. The two consultants I worked with have managed to fill every role we’ve asked of them, providing a small but well-chosen group of candidates in each case. They have offered us advice and a solutions orientated service. For us, IT recruitment is no longer difficult and time consuming, but works well. Morgan Law approached me regarding an interim assignment at a crucial time. I found the consultant’s people skills to be second to none; she was very personable, asked relevant questions and helped me prepare for my interview. She demonstrated professionalism and commitment throughout our exchanges. I would not hesitate recommending the consultant at Morgan Law to colleagues, friends and family. The consultant at Morgan Law is a sound professional in his field and knows how to pick the right person for right job and also what best suits for candidates. He is professional in his approach and I strongly recommend him for recruitment business. If you need good people in your organisation, Morgan Law can find the right person for you. Morgan Law helped me tremendously in finding a perfect position for me. Thanks to the consultant’s expertise, helpfulness, advice and communication he found me the perfect role. I would highly recommend using this excellent professional recruitment consultancy. I wanted to use this opportunity to thank you for your help and support - you have been helpful beyond expectation in assisting me in securing a job. I had been looking for a job for the past seven months and had very good interviews but failed to secure a job till your intervention. I cannot but thank you enough for preparing me for the interview, taking time out to go through step by step every interview technique and how to go about answering interview questions. It was the first time I have ever had such coaching and preparation in my years of working with different agencies in the accounting field. The result was a job with one of my most favourite prestigious charity. Morgan Law did an exemplary job for us which culminated in the appointment of our new Chief Executive. I work frequently with headhunters from the major London firms on searches at Board level for FTSE 250 corporates and I can honestly say that my consultant was far more impressive than most of these I have worked with. I would certainly use him again and have no hesitation in recommending him to others. My consultant made the process of finding a new role really straight forward. He supported me every step of the way and is very knowledgeable about recruitment in general and also the non-profit sector. The level of communication was excellent and I felt that he really took the time to ensure that I had all of the information I required. Morgan Law provided an excellent, highly professional service in supporting the recruitment of the IT Director and Deputy IT Director to the City of London Corporation. The consultant responded quickly and creatively to the brief and demonstrated a strong understanding of the sector and the needs of our organisation. She supplied a strong short-list from which we were able to identify two strong candidates to fill our key roles and they have now transitioned into the City. The consultant was very prompt and supportive in her response when issues arose and facilitated an early resolution to ensure we were able to finalise the appointments. I am writing to confirm that Colchester Hospitals University NHS Foundation Trust recently used Morgan Law when recruiting a substantive Associate Director of Operations – Medicine Division. This challenging post had proved extremely difficult to recruit to, having advertised nationally, with no successful appointment. I was however fortunate to appoint an experienced interim to the post through Morgan Law. I then decided to seek professional support through Morgan Law to source a permanent appointment, as they knew the key issues the Trust was facing and understood the pressure to gain some stability in the newly structured Divisions. Morgan Law were successful in producing a high quality field of candidates within a short period of time, and a successful appointment was made of a high calibre experienced manager. During the recruitment process I was well supported and updated by Morgan Law. I would recommend Morgan Law for recruitment to posts of such type and would definitely recommend them to colleagues. The campaign delivered an overwhelming response and the strongest long list I have seen in the last ten years of being an HR Director. Throughout the campaign, the consultant at Morgan Law demonstrated a very high standard of competence, diligence and good old fashioned customer care which I believe paid the College huge dividends. I would have no hesitation in recommending Morgan Law to any employer seeking to recruit talented Senior Managers. Morgan Law was the recruitment agent engaged to assist with the recent recruitment of a management accountant and payroll manager for The Courtauld. We had the same consultant who supported both processes. Our experience during both processes was that Morgan Law was accessible, listened to the requirements and sought appropriate candidates, was knowledgeable on the candidates put forward and helpful in making the arrangements. I have been delighted with the work that Morgan Law have done in helping me to recruit an outstanding candidate for a senior international role. They worked closely with us to understand our requirements and despite challenges were able to meet our needs and to go the extra mile in ensuring that over a long lead time we achieved a smooth start and a successful transition into the role. The consultant from Morgan Law has been great at finding out about and matching my needs in recruiting good interim staff ... painlessly and with the best candidates. Although I have looked elsewhere, it has almost always been his candidates who have come up as best fit for the solution. Suspect he must be a bit of a mind-reader in his spare time. Morgan Law has been a great help to us in finding an excellent candidate for a hard-to-fill position in my team. The consultant has taken the trouble to understand our needs as a client and delivered for us quickly and efficiently. I have worked with Morgan Law in various roles in the past 5 years and they have always been able to deliver candidates of an exceptional standard. They listen and understand your requirements and amend details at short notice – never had a problem with any service provided to me both as a client and a candidate. We were in urgent need to recruit a new Chief Executive. Morgan Law provided outstanding service and assistance in both attracting an excellent field and securing an outstanding candidate. I would not hesitate to use their services again. My consultant at Morgan Law is a hard working professional who applies himself to his work with great dedication. From our first contact and throughout the assignment he has maintained the highest levels of professional standards marked by proactiveness, effectiveness and honesty. I recommend Morgan Law without any reservations. The consultant work with at Morgan Law is an experienced recruiter. She successfully secured a new role for me within Higher Education after a long career in the Civil Service. I really appreciated her professionalism and personal touch. I felt fully supported throughout the recruitment process. Through regular reviews with both my manager and myself, my consultant ensured that I settled well into my new role. And it is with great pleasure that I recommend Morgan Law. I have had the pleasure of working with Morgan Law on numerous occasions through my career, both personally (in terms of sourcing roles for me) but also for sourcing the right candidates for vacant roles within my teams. At both RNIB and WAGGGS, the consultant took very specific briefs and actively went out to market to find both the right calibre and right personality to fit into complex team structures. The candidates he puts forward are always well briefed on both the organisations and my preferences, and I have successfully appointed a number of roles as a result of this. I would thoroughly recommend him as a consultant and Morgan Law for their professionalism. Morgan Law has taken time out to develop a strong relationship with me and my staff at Genesis to form an effective partnership with us, which has built up trust and transparency. This has enabled the Morgan Law team to gain a thorough understanding of us as individuals and as a team. The consultant appreciates how someone needs to fit into our culture as well as the technical requirements for a role enabling him to really understand our need and source the right person (both cultural fit and technical ability). Morgan Law have successfully placed a number of key individuals with Genesis Housing Association at different levels (including Heads of Service and Partnering Manager roles). The consultant does not send multiple CVs, usually no more than three or four and he tends to fill the roles. This is primarily due to Morgan Law understanding the fit, person and technical requirements we ask for so I know the candidate will be a good addition to the team. Initiated by regular catch ups with myself and my senior team, the consultant will always meet with me or the hiring manager when recruiting a role and keep us up to date throughout the whole recruitment process, including the offer management stage which is crucial. Our consultant at Morgan Law gets to grips with our requirements really quickly, and is delightful to work with. She has a very good sense of our business needs but also the personality profiles we are looking for. I have felt extremely well-supported throughout the recruitment processes she has helped us with. I would have no hesitation in recommending her highly - she really knows her stuff. I would highly recommend my consultant at Morgan Law to anyone seeking the services of an expert recruitment consultant. The consultant’s level of customer service and engagement with both client and candidates is excellent. My experience from Morgan Law has been second to none and I can say that with great confidence. With overwhelming gratitude and thanks to Morgan Law, in particular to the two consultants I worked with. With their continuous stride and perseverance in finding me a contract that was not only right for me but beneficial too! I am so impressed by their determination that I had no hesitation in recommending a friend. Homes for Haringey have had a long standing relationship with Morgan Law. They have supported us with recruitment to both business as usual roles as well as supplying high quality project staff to support a business transformation team. The consultant is an excellent Account Manager, supporting both recruiting staff and their clients. The consultant strives to understand your requirements fully and then work hard to ensure that you only see potential employees who are appropriately skilled. This is invaluable in the busy world we operate. I value the consultant's strong communication skills and his ability to keep me informed at all steps of the recruitment process. I am aware that their placements would echo my words as they maintain a good relationship whilst in post. An outstanding consultant who is determined to deliver value for his clients. I have the highest regard for him both professionally and personally and would recommend him without reservation. I have worked with Morgan Law for several years now both as a candidate and also as a recruiting employer. The consultant always conducts himself with integrity and professionalism. As a candidate I know that he understands what I can offer and is able to effectively "sell" me. As an employer he takes time and trouble to really understand what type of candidate I am looking for to undertake the role. He does this all with great attention to detail and good humour which can be rare these days. I would not hesitate to recommend him whatever your needs. The consultant I work with is a consummate professional; knowledgeable, approachable and a pleasure to work with. She was part of the team that placed me in my current role and cannot rate the way I was treated as an applicant highly enough; likewise, she is highly regarded within this organisation for her client focus. I would unreservedly recommend Morgan Law. Having advertised, assessed and interviewed for two HR senior roles, the result was failure to appoint. I handed the two assignments to Morgan Law and they successfully filled both. Morgan Law then handled a third assignment, which was also successfully filled. Their service was responsive and delivered. I have worked with Morgan Law both as a client and also as a candidate. My consultant is always highly professional and honest. She has the rare quality of keeping in touch regularly with clients/candidates and works hard to build solid relationships. This makes my consultant one of the first people I would approach if I have a vacancy. She takes time to understand the market and the companies she is working with and always provides a balanced view. It's always a pleasure to chat to and work with my consultant at Morgan Law. You always know that you will get a good service and the best applicants from Morgan Law. However my consultant brings that something extra to the process, he is very personable, has a good knowledge of the sector, listens to your requirements and always delivers good candidates. We went to tender in 2010 to test the market and re-employed Morgan Law because of their good value, good candidates and the consultant’s ability to deliver the first-class service we required less. I just want to place on record how delighted I have been with the outstanding service you provided in terms of the search process for our Head of HR. As you know, we approached Morgan Law after finding ourselves in the disastrous position of recruiting a Head of HR ourselves who lasted in the job for only two weeks. From the first moment we had a conversation I genuinely felt I was being listened to, challenged around my thinking (which is great) but at the same time reassured that I was engaging a professional who took the business of finding a new Head of HR as seriously as I did. You maintained that level of focus and dedication throughout the assignment and were always a pleasure to deal with. Thank you so much for all your hard work and professionalism. You are a credit to Morgan Law! The recruiter at Morgan Law is an excellent employment consultant who understands appropriate matching between consultant and role. Extremely knowledgeable and professional to work with. Highly recommended either for placements if you are a consultant or for consultants if you are an employing organisation. I have worked with Morgan Law on a couple of assignments (LAS & NELCSU) and they have always been open and honest in terms of the role and the working environment. In the past I have been approached by other agencies for the same role but as Morgan Law has taken the time to know me well enough they will only approach me with opportunities that they know that I would consider. I have worked with Morgan Law for a number of years. My consultant is good at understanding the needs of her clients and her candidates and I have learned that I can trust her to give clients an honest representation of my skills and to give me an honest evaluation of potential clients. She is highly personable and thorough in her approach: in other words, a pleasure to work with. My consultant at Morgan Law is excellent. She was relentless in her quest to find me work - a true communicator and would keep me up to date daily on jobs coming in. I was very impressed with her knowledge of each role that came along and her expertise at securing me interviews. My consultant is excellent at negotiating and has an in depth understanding of the world of recruitment. Morgan Law gave me prompt friendly assistance and I found them knowledgeable in the roles I submitted. The effort I made to clearly define my ‘ideal candidate’ expectations combined with clear evaluation metrics, certainly helped us to make a positive outcome. I was provided with candidates to interview who were certainly appropriate to the advertised role and evaluation criteria. I have successfully appointed some of these into permanent roles. I have worked with the same consultant at Morgan Law over the last few years, she has assisted me on a number of HR roles both here at Macmillan and in my previous role at St Mungo's, and I would highly recommend her. She is effective and someone who builds strong working relationships, she is helpful, professional and full of integrity. It is a pleasure to work alongside her. We had struggled for a number of months to fill one of our key Senior CRM roles and had felt we'd exhausted the pool available via our existing PSL suppliers. With the introduction of Morgan Law onto the PSL we had a new avenue and were delighted when the consultant managed to find us a great candidate at first time of asking. It's really given us confidence in the ability of Morgan Law to find candidates that not only have the right skills but also are the right fit for a charity like Macmillan. Well done! We recently used Morgan Law for recruitment of our Director of HR. Of course the acid test of a recruitment consultant is the quality of candidates provided. Morgan Law did a great job, searching and securing a good list of candidates, sifting these and undertaking initial interviews based on our guidance so that we arrived at a great short list for our consideration. The net result was a first class appointment. Would I consider using Morgan Law again or recommend them for a similar exercise elsewhere? Definitely. This project was to find a suitable permanent replacement for the post I hold on an interim basis. Morgan Law quickly grasped and understood the organisation, reflected in the proposal, produced a great micro-site, met every deadline we agreed, found a high quality field and made the whole process entirely worry free for me and other members of the interview panel. It was my pleasure to work with the consultant after he placed me at Medway Foundation Trust. In my opinion the consultant is mature beyond his years. I found him to be amiable and friendly and very professional. He clearly understands the business and I found operates in a 'non pushy' manner which is something I personally appreciate. I very much look forward to working with him again. I've now worked with Morgan Law on a number of occasions and really do find the consultant to be like a breath of fresh air in the recruitment market. He's diligent without being pushy and has a great style with both the client and the candidate. He's efficient but driven. A real pleasure to work with and an asset to Morgan Law. I've now worked with Morgan Law on a number of occasions and really do find the consultant to be like a breath of fresh air in the recruitment market. He's diligent without being pushy and has a great style with both the client and the candidate. He's efficient but driven. A real pleasure to work with, and an asset to Morgan Law. Morgan Law has worked with me to recruit a number of positions across many disciplines and at varying grades. In all circumstances my consultant understands the brief, fully appreciates the timescales and budget and finds people that are always 100% up to the job. She is honest about her views of the assignment and provides sound advice based on her knowledge of each industry sector and her understanding of each job role. She is also happy to change the brief when needed, even at very short notice. I would have no hesitation in using the services of Morgan Law and, in particular, the fantastic work that the consultant carries out. I have worked with Morgan Law on a number of occasions – my consultant has a number of exceptional personal and professional qualities which ensures she stands out from the crowd. She is easy to get along with and takes the time to get to understand business needs, which enables her to tailor the service and achieve the right result for all parties. I am writing to say just how much I valued the services provided by Morgan Law in relation to the recruitment of our new Chief Executive. My consultant has really done a most excellent job and been complimented by panel members and candidates alike. I would totally recommend Morgan Law as a recruiter. The consultant is extremely diligent and approachable. She has contacted me numerous times with roles best suited to my skills, knowledge and experience. Additionally, she would contact me for pre-interview and application form support with her extremely excellent expertise in these areas. The consultant is very reliable and concise with all her forms of communication via phone and e-mail and easy to get hold of too! I have known my consultant at Morgan Law for a number of years, when we first met I was struck by his insight and knowledge of the industry and since then he has proved to be a valuable and trustworthy resource. Morgan Law was also instrumental in placing me into a key role. In this game, where in my experience there is a huge range in the quality and integrity of recruiters; I can honestly say that my consultant has consistently been someone I can rely on to represent me to the standard I'm looking for, and to provide me with the professional profile that I want from a recruitment company. A supportive and pragmatic agent, the consultant has provided excellent support in ensuring that my current engagement has been clearly defined and a good match for both my skills and the client’s requirements. Flexible in ensuring that the changing external environment to which contracts must conform is recognised within a defined business model. He maintains contact without being intrusive and is always available to provide support when needed. An excellent guy to work with. I am delighted to recommend Morgan Law. As a candidate, I found the consultant to be very professional and knowledgeable, someone who stands out from the crowd. I came across the consultant as someone very friendly, humble and committed in her dealings and has always displayed a high degree of integrity. The consultant is very keen about achieving results ranging from registration to time sheet submission and has kept abreast with developments during assignments. Overall I have been able to form a positive opinion about the consultant as I have found her to be an invaluable asset and a first line of contact who is always willing and ready to provide assistance. I highly recommend my consultant at Morgan Law for her professionalism, business skills and industry knowledge. Morgan Law has the ability to quickly understand both clients’ needs which resulted in placing me in a contract from a first attempt. My consultant deals with matters in a sensitive and efficient way, allowing her to build credibility and maintain long term professional relationships. Thank you. The consultant at Morgan Law is a very hard working professional with outstanding qualities - an excellent team player with active listening and communication skills, coupled with being highly organised, dedicated and always provides a high quality service. My consultant is unique in that she takes time out to check how you're doing and treats you like an individual. Her genuine persona and passionate approach makes you realise you're dealing with someone who truly cares. I would have no hesitation in recommending my consultant’s work. I’ve worked for Morgan Law for several years in various communications related roles and have always found them reliable, thoughtful and supportive. The work has been constant and the invoices paid promptly. I would happily recommend the company to fellow freelancers or those looking for permanent roles. I have worked with Morgan Law several times both as a client recruiting staff and as a candidate. I have always been impressed by their efficiency and their attention to detail. They know the NHS very well and understand the structures and processes. They have a close working relationship with their candidates to make sure they get the right match between a person's skills and the organisation's needs. Morgan Law did an excellent job in running this campaign for us. The consultant brought an excellent shortlist of appointable candidates and handled the whole process very professionally. The result brought us an exceptional candidate who was appointed, and who we would otherwise not have been reached via our routine recruitment routes. I wanted to send my thanks for your personal contribution to helping us source and shortlist a cadre of potential recruits for our two Divisional Director vacancies, leading to the appointment of two very high calibre people. The Board and the Management Executive team are extremely happy with both of these appointments. I recently engaged Morgan Law to assist Luton TPCT in recruiting our Head of Acute and Specialised Commissioning. We engaged Morgan Law to carry out specific headhunting in connection to the post and have been very pleased with the service provided. We had previously advertised the post unsuccessfully however following Morgan Law’s work we have made an appointment. I have used Morgan Law for a number of years both as a client and a customer and always found the team trustworthy, reliable and extremely knowledgeable of the market. My consultant is a great guy who is very personable, an effective communicator and always delivers. HIGHLY recommended. I recently worked closely with Morgan Law when seeking an HR Officer to join our small team. The consultant took the time to understand the organisation and in turn our requirements which meant that the profiles sent through were of high calibre. We were, as a result, in a strong position to appoint – which we did. Our consultant provided excellent support and a professional and efficient service. I would recommend our consultant, and Morgan Law, going forward. I recently worked with Morgan Law to fill a senior role in the National Theatre's IT department and found her a great support. It was some years since we had tested the market and we found the consultant's insight, knowledge and advice to be invaluable at all stages, particularly in terms of job content and salary. She was dedicated and generous with her time in seeking to understand our needs and culture, came up with a very strong and credible shortlist of candidates, was insightful regarding the candidates strengths and weaknesses and ultimately helped us find a strong candidate with the requisite skill set and with sympathetic values - a great fit. The consultant is diligent and knowledgeable, worked in a positive way with some of our organisational constraints (particularly time!) but was able to provide constructive challenge where needed. I met the consultant from Morgan Law recently whilst I was looking for a new, more challenging job opportunity. I have never used a job agency before, and I did not necessarily know what to expect. The consultant is friendly, committed and always professional in her approach as a recruiter. After the initial interview she had a good understanding of what kind of position I might be looking for and she was the only recruiter to send my way job opportunities that actually were very clearly in line with the guidelines we agreed during our meeting. The consultant kept in touch via email and phone updating me on a regular basis about the positions available and about the progress of my applications - this was incredibly valuable, reassuring and motivating. Morgan Law achieves the results! In a relatively short period of time I had two interviews and job at hand. I have been recommending the consultant at Morgan Law to my job-hunting friends since as she is knowledgeable, professional, reliable and efficient in her approach. Working with my consultant was an absolute pleasure. She helped to place me in my first Contract role at The MDU where I spent 10 fantastic months. From setting up the interview process to getting the position, she was very collaborative and always on top of her game. I highly recommend my consultant and I look forward to working with her again very soon. I have worked with Morgan Law as a provider on a number of key recruitment assignments over recent years. The consultant is an exemplary professional who listens to the client, provides workable solutions with a great degree of flexibility at every stage of the process. Many recruitment providers promise plenty and then have as many excuses when they can't deliver; she has consistently delivered on every occasion and I am delighted to recommend her. The consultant at Morgan Law is an approachable, reliable person to work with. She is able to understand the detail of what is required to recruit the right person at a reasonable cost. My consultant at Morgan Law has a keen interest in her client sector and is very knowledgeable about her field. She has built a strong network focussed on the long-term and adding value to her business contacts. She is also a terrific relationship manager and has helped us build contacts across the public sector HR community. I just wanted to drop you a line to say something that I have never said to an agent in 28 years of working in IT (21 of these contracting). I am very impressed with everyone at Morgan Law, especially the two consultants that I have had dealings with as you have been open, honest and exhibited a level of integrity that is so sadly lacking from the recruitment agency field. It has been a pleasure interacting with you and I will not hesitate to recommend you to my colleagues who are worthy of presenting to your clients. I know a contractor contacting you and not wanting something must be uncommon, but you are a shining example of what a good agency can be and I applaud you for it. The consultant at Morgan Law has proved to be an excellent professional recruiter who has found candidates to match our requirements for middle/senior management roles. Having placed me personally and found candidates for me, the consultant has proven to have a rear ability to match candidates to clients with very high success rate. His great personality and integrity means he is always our first point of contact for candidates for middle/senior/project manager roles. I found Morgan Law’s approach to our campaign to be both focussed and professional. Having understood my initial requirement, Morgan Law quickly realised a shortlist of strong candidates and I was able to proceed to interviews with real confidence that I would be able to fill this senior role. The successful candidate is progressing well within the organisation. I would not hesitate to recommend Morgan Law for specialist recruitment needs. From the outset all our requirements were attended to and we felt supported throughout what was a demanding and complicated process. We would have no hesitation in using Morgan Law again. They were first class. Morgan Law’s advice and support was down to earth and very helpful; my consultant was well informed and meticulous. He gave clear advice at all stages; events proved it to be very effective. It was apparent he maintained excellent communications not only with us but also with potential candidates and gave useful feedback to them at each stage. Most importantly, he was responsive to our needs; we always felt that we were his priority. I would have no hesitation in using Morgan Law’s service in the future. Thanks to Morgan Law I was able to secure a fantastic role at RBHFT. The consultant’s understanding of the knowledge and skills an NHS Informatics professional must possess to be competitive in these challenging times, is superior. I recommend using the services provided by the consultant; and Morgan Law, to recruit your future NHS Informatics or Business Intelligence leaders! I have worked with my consultant on both sides of the recruitment fence, as a candidate being put forward for roles, and as a recruiting manager. The consultant is highly professional and efficient and she clearly understands the NFP sector. Unlike many recruiters she makes a point of getting to know both sides – the recruiting managers and those looking for positions, so that CVs and recommendations you receive will always be suitable. Her approach is friendly, and appropriate in terms of frequency and content. She will also ensure that candidates are well prepared and supported and interviews are followed up to ensure all went well and to gather feedback. I do not hesitate to recommend the consultant at Morgan Law and will use her in the future. We had a very specific brief to fill, with unconventional hours, but having worked with Morgan Law before, I was confident the consultant would be able to meet our needs and within our timeframe. He quickly understood our requirements for the role and wasted no time in contacting relevant candidates. The consultant kept us well informed on his progress and communicated updates effectively throughout the process. All of the applicants sent to us met our criteria well and were obviously capable of fulfilling the role. Once we’d made a decision on a candidate, the rest of the process was handled smoothly and quickly. I find the consultant very easy to work with and his enthusiasm to get the right outcome is really appreciated. I would certainly work with the consultant again should the need arise. Morgan Law selected a diverse range of candidates for us which helped us to identify who the right candidate was for our role. The consultant understood our requirements and organised everything for us. The consultant acted as a great facilitator in this process explaining the candidates feedback to us and ours in return to the candidates. As always an effective service received from Morgan Law. Working for a charity, the talent and resourcing team sometimes struggle to fill certain critical roles due to salary and restrictions on time and sometimes need additional support from external suppliers. Morgan Law worked closely with us on several key roles and understood our internal timelines and frequent urgency. The consultant always got back to us in a timely manner, placing two very strong candidates with us during a 12 month period, and was always patient and professional. As a contractor I have worked with Morgan Law as a candidate a couple of times over the last few years and I can freely say that they are one of the best agencies I have ever come across in terms of candidate management. Very few agencies treat candidates as well as they do their clients, but Morgan Law do! In particular, I found the consultant personable, professional and very clued up about all her clients and in a sector where hyperbole is common, she didn't try to oversell anything and I felt she represented both sides with transparency and knowledge of her market (and client). I liked the openness, the lack of pretension and genuine honesty. I appreciated that Morgan Law often called me about roles outside of my initial remit, prompting me to look more closely at my own career goals and ability. As a pleasant aside the consultant was always bubbly, enthusiastic and a joy to work with making a process which could have been arduous instead a pleasure. I often recommend Morgan Law to both close friends and fellow contractors who are looking for work, which is the highest praise I can give. In a sector heavy with consultants where client is king and candidate is 'product', Morgan Law are a refreshing and welcome change. I worked with the consultant to fill the role of ICT Director at the Science Museum Group. It was a challenging timeframe over the summer months, and the consultant demonstrated real commitment and flexibility to meet our timetable. The consultant is very well connected in the sector and demonstrated a good understanding of our needs, taking the time to talk through with me what our priorities were so we could narrow down key criteria. The consultant put a huge amount of work into delivering a strong shortlist of candidates and we have succeeded in making a really good appointment. The consultant that I work with at Morgan Law is a professional, reliable recruitment consultant who made finding a new position painless. He kept me informed throughout the interview and selection process, making the process smooth and speedy. I would confidently recommend this consultant to assist in securing a new role quickly and efficiently. As a contractor, I have always had an excellent service with Morgan Law – pay runs go smoothly, I’m kept in the loop about possible roles and I have always been able to talk through any issues and concerns I have with my consultants. I had not worked with Morgan Law until recently when I was contacted with regards to the Head of IS Solutions at Tate. I personally can’t thank the consultant from Morgan Law enough. Although I said yes to the role and said I would send my CV over I left it too long and the role closed. Luckily for me they did not fill the post so the consultant spoke to the Tate and managed to get me in, and two weeks later I started work and what seems to be a perfect fit both technically and culturally for me. I look forward to working with the consultant in the future - both for my career and also for recruiting my needs in current and future roles. With the consultant (and indeed Morgan Law) what you get is honesty and professionalism, there were no empty promises or excuses, it really made the process easy and stress free. It has been a pleasure working with Morgan Law on the recruitment of two senior roles of Head of Service Delivery and Head of IS Solutions at Tate. The consultant took trouble to understand the organisation as well as my team and how we work together which meant she was well qualified to identify candidates who were a good cultural and team fit, as well as having the right skills and experience. She is very straightforward and clear in her communications and was sensitive to the demands on my time and used our time together very effectively and efficiently. I wouldn’t hesitate to work with the consultant at Morgan Law again on future recruitment campaigns. I have known my consultant at Morgan Law for the last 10 years. In that time I have found my consultant both professional and effective. He has a very personal manner about him, which makes him refreshing and stands him out as one of the leading recruiters in his field. Morgan Law has placed me on multiple occasions and on every occasion the consultant has taken the time to find out exactly what I am looking for and placed me in roles which fit my skillset perfectly. My consultant also checks in with me at regular intervals, to see if there are any problems and if there is, they are resolved in timely and effective manner. I have also used Morgan Law on multiple occasions, to find staff for me. On every occasion without fail, my consultant has found me the right candidate, within a short space of time, without me having to give him any direction. This for me is very important for me as I am always very busy. My consultant is an absolute pleasure to work with, I would recommend him to anyone as I feel he is one the leaders in NHS recruitment, as his client and candidate knowledge is second to none. I recently worked with Morgan Law to fill a senior role in the National Theatre’s IT department and found the consultant a great support. It was some years since we had tested the market and we found Grace’s insight, knowledge and advice to be invaluable at all stages, particularly in terms of job content and salary. She was dedicated and generous with her time in seeking to understand our needs and culture, came up with a very strong and credible shortlist of candidates, was insightful regarding the candidates strengths and weaknesses and ultimately helped us find a strong candidate with the requisite skill set and with sympathetic values – a great fit. I have used Morgan Law over a number of years. My consultant searches for high calibre candidates and will not put anything other than the right person forward for roles. She also manages candidates well, ensuring they are prepared and confident at interview and has good background knowledge of the roles they are being put forward to. She is very personable and works hard for her clients. My consultant, and her colleagues at Morgan Law, have impressive insight into the ever changing labour market - and have an excellent track record in helping healthcare organisations make great appointments. I found Morgan Law to be extremely efficient and professional in managing the first stages of our recruitment process. They took into account our requirements and this was reflected in the candidates that they were able to put forward. This saved a lot of time and energy from senior managers having to shortlist and meant we were able to focus on getting the right people for the job. I would definitely consider using Morgan Law again. Morgan Law were recommended to me by an NHS colleague and I would not hesitate to further recommend them. I found the service to be very professional and courteous. The communication was very good, managing my expectations and keeping me informed of progress. In the end we only interviewed one candidate for our vacant position and fortunately she was the right candidate and we are very pleased with the outcome. Thank you. Morgan Law produced a good field of potentially appointable candidates. We chose the person with the best mix of experience and skills that suited our needs and have been very pleased with the person selected. Morgan Law have been responsive, efficient and professional in all of our dealings with them and we would use them again. I have been very impressed with how the consultant delivers on her commitments. She really knows her market and provides good, solid support and guidance that delivers a positive outcome. Always available and responsive, my confidence in my consultant to understand the brief and provide suitable candidates for us is high. She is also a strong project manager who will manage each assignment to agreed deadlines that ensure you get what you signed up for. Morgan Law delivered an excellent service to a tight timescale. They submitted three good candidates against a strong field of direct applicants. The interview panel was unanimous in its final choice of the shortlisted Morgan Law candidate. Morgan Law’s selection of suitable candidates, their delivery of the offer and their handling of the candidates post interview were exemplary. I have known the consultant at Morgan Law for 18 months now, and during that time we have worked together on various opportunities. He is always good to work with. He is reliable, knowledgeable and a pleasure to do business with. Morgan Law provided a consistently high standard of service while I was with my previous NHS employer, which is why I was happy to continue the business relationship with them when I joined West Herts. The personal input is just as important though, and the consultant at Morgan Law provided quality candidates throughout. He took the time to understand our needs and the type of people we were looking for, which was reflected in who he put forward. He often submitted candidates who were a little outside of our specifications but who he thought were suitable based on our conversations – they usually were. We currently have two Morgan Law staff at West Herts, one in a Head of Finance role and the other as a Senior Management Accountant. Both have been able to use their previous experience to make an immediate impact with the divisions they support, and ultimately the Trust as a whole, validating both the recruitment process and Morgan Law’s initial candidate sift. The future of agency spend in the NHS is uncertain, but if further recruitment is needed in this regard, we will be dealing with Morgan Law. Morgan Law facilitated my appointment to a strategic post within a new organisation. The consultant was professional, responsive, efficient and a pleasure to work with.